From the comfort of a private high floor balcony, enjoy a partial Nile view and Gezirah Island. These restful rooms combine contemporary French elegance with Egyptian inspiration. Wake up in a comfortable Sofitel MyBed and step into a refreshing rainfall shower with divinely scented toiletries – or unwind with a long soak in the tub. 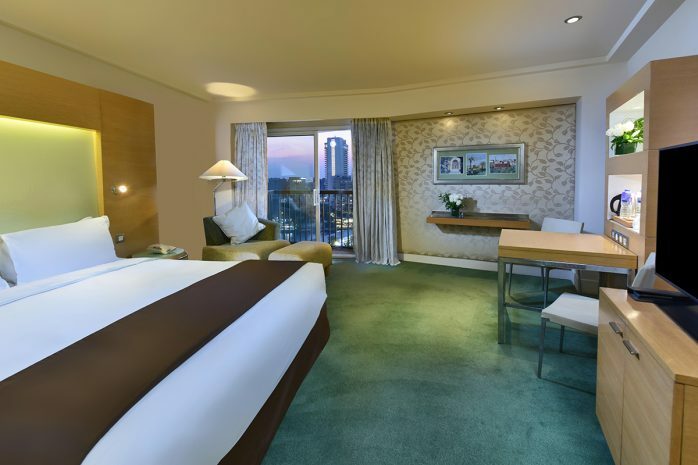 Free Wi-Fi and an LCD television with international channels and movies keep you connected during your visit to Cairo.